New gate installation is vital for big properties for the reinforcement of the perimeter's security but such services ought to be carried out by specialized technical teams with deep knowledge and experience. 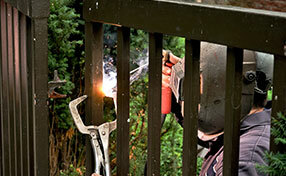 The technicians of Gate Repair Monterey Park will not only install your new gate but they will also offer assistance for its selection, repair services and replacement parts. 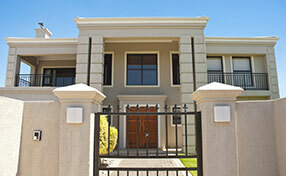 We have full warehouses and top quality branded products whether you want to replace the existing gate or some parts. The infrastructure of our business is firm and regularly renewed with novel equipment and state of the art tools, which are important for each residential and commercial gate service. We are called to fix motor problems, maintain mechanisms, upgrade openers and repair sliding, overhead or roll up gates and every service requires speed, methodical techniques and appropriate equipment. 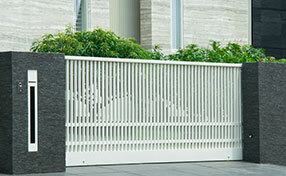 Our company gives priority to such matters and updates its technical foundations regularly because we need to keep pace with technological developments and offer you the best commercial and residential gate openers. We never stop training because novelties intrigue us and we are obliged to learn the peculiarities of new products in order to offer you the best services. All technicians have excellent skills about any new operator and are experts in maintaining all types of gates with efficiency. Our regular inspections and services will prolong the life of the whole system because we are very thorough and methodical and make the necessary adjustments and repairs right away. We are highly prepared with full vans and 24 hour teams for emergencies and respond fast to your call for any driveway gate service. We install and repair intercom and phone enter systems and we are available for any information you need and consultation. “Gate Repair Monterey Park” has built a strong company because it considers strong foundations important for immediate, efficient services. Call us and discover what it means to feel safe!